We are offering a whole day of constellation-based exploration just for men; it is a different kind of men-only space. Here is an opportunity for a group of men to come together and explore identity, maleness, emotions, intimacy, relationships, sexuality, mental health and spirituality. Rather than looking at ourselves as separate individual men, we will look at the web of the relationship of the wider systems within which we find ourselves, including the significant events and ideologies that have impacted our family. This much fuller picture of the individual, as part of a larger set of systems, allows us to see and understand the previously unseen dynamics operating within the system, and find a healthy and respectful place for all members of the system in question. There have been significant changes and developments in masculinity since the 1950’s. Men are no longer seen just as breadwinners but are far more involved in the home and with their children now, much more demonstratively affectionate and tactile. But what does it mean to be a man in 21st Century Britain? Are men having a tougher time now? Are they going through a crisis of confidence? How well are we supported in negotiating a transition in society with regards to changing gender roles? We are also living at a time in which the behaviour of men is under tremendous scrutiny. And rightly so. Much of the discourse in the public domain is to do with the power men wield and the transgressions committed by men in positions of power. Though those that commit such transgressions must be challenged, there needs to be more engagement in an intelligent debate about what may actually be going on underneath all this. Most of the voices that are speaking out on these issues seem to belong to women. Is there a way in which men can contribute to this dialogue. And what might that look like? Such men-only workshops could form perhaps just a small part of the mosaic of responses to this unfolding situation. A movement which brings us a step closer to a world in which each gender is equally respected and gender differences are celebrated; a world in which the distance between the genders is no longer painful. Sandeep has been working as a therapist since 1999. He has a special interest in inviting members of ethnic minorities for whom it isn’t commonplace to engage in therapy as a legitimate resource. He has been involved with constellations since 2012, and has been delivering constellation workshops since 2015. Sandeep initially studied Social Psychology at undergraduate level and Information Technology as a postgraduate , both at the University of Kent in Canterbury. Having embarked on a corporate career, Sandeep was all the while aware that he needed to afford himself a certain stability and time to address difficulties arising from a somewhat challenging childhood. This he proceeded to do in a variety of ways. Initially with much reading, later by participating in various personal development programmes, and later still organising and leading workshops. 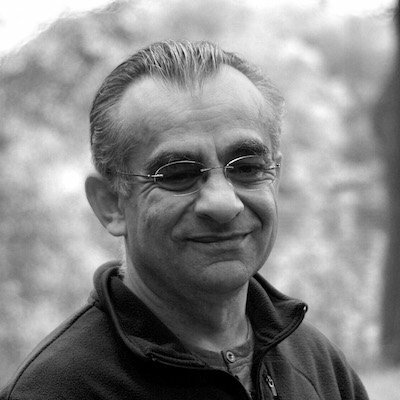 This Sandeep to a four year Psychotherapy training at the Centre for Counselling and Psychotherapy Education (www.ccpe.org.uk) in London which was completed in 1999. He has run a private practice ever since. Sandeep then went on to train in Family Constellations at the Centre for Systemic Constellations, finding that it beautifully complements his approach and widens the lens through which to observe a person’s emotional landscape. By Tube/Train: St. Johns Wood station (Jubilee line) is about a 10-minute walk away or Maida Vale (Bakerloo line) is 6 minutes away. Rather than looking at ourselves as separate individual men, we will look at the web of relationship of the wider systems within which we find ourselves, including the significant events and ideologies that have impacted our family. This much fuller picture of the individual, as part of a larger set of systems, allows us to see and understand the previously unseen dynamics operating within the system, and find a healthy and respectful place for all members of the system in question.